Play Kingdom of Cash slots and rule over your entire kingdom when you accumulate riches fit for a king! Spin to win and take a seat on your throne today. 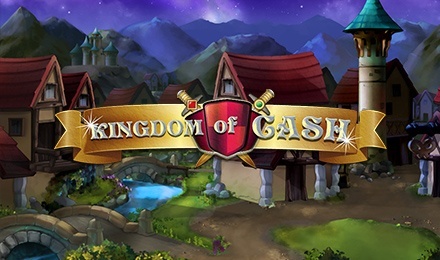 Play Kingdom of Cash slots and fill your own kingdom with cash! Fearlessly run through the battle field and get to the princess! Win free games along they way as you spin through this 25 payline game. Command the battlefield and aquire other bonuses on your way to staking your claim to the kingdom!